Qualiform Rubber Molding is a full-service rubber molder / rubber products manufacturer offering custom rubber molding services, rubber compression molding, rubber injection molding, rubber transfer molding, and rubber to metal bonding. 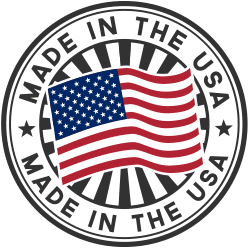 Qualiform is the top U.S. rubber molder for producing large rubber parts, rubber to metal bonding and complex custom rubber products that require special compounds and/or present unique design and molding challenges. 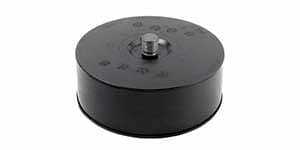 We are experts in problem-solving and all aspects of rubber molding and rubber to metal bonding. Our experienced technical staff is available to consult on your part design and property requirements. We maintain the highest standards in both customer service and quality. We are committed to pursuing the latest industry technologies and resources to meet your custom rubber molding needs. Certified to ISO 9001:2015, we are dedicated to producing highest-quality custom rubber molded products. We continuously invest in our plant and equipment to ensure we provide the most advanced processes and efficiency in all aspects of our manufacturing processes. We run 3 shifts, 24-hour production to meet all your delivery requirements. 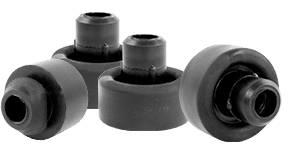 With more than 40 years experience, customers depend on our rubber product manufacturing capabilities to meet the needs of the transportation, medical, electrical, plumbing, industrial, appliance and aerospace industries. Our knowledgeable technical staff will assist you with product development and design. Qualiform’s extensive rubber molding experience ensures we can meet your exact specifications. We work with you every step of the process to ensure the quality and materials meet your specifications. Contact a member of our technical staff at (330) 336-6777 or CLICK HERE to send us a drawing. Unparalleled experience to solve your part problems from design to price to delivery – try us! 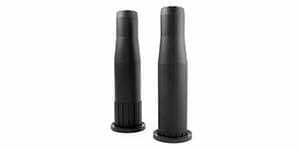 We work with your tooling either from other molders or can purchase new tooling for you. You always own the tooling so we keep you as a customer through outstanding performance and customer service. 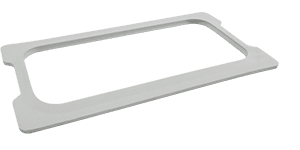 Qualiform has the experience and the knowledge to complete your custom rubber molding project needs for the medical, transportation, or other industries. 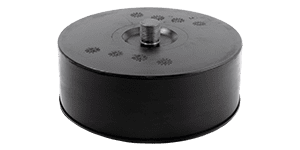 Rubber to metal bonding is an ideal process for bonding metal and plastic parts including: gears, shafts and rollers in a wide array of sizes and shapes. 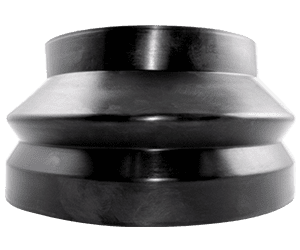 An ideal process for forming large quantities of small to medium size parts, complex inserts, insert molding and components that require uniformity. 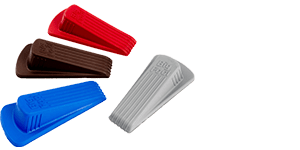 Transfer Molding combines injection molding with compression molding for parts that require exact positioning, bonding fragile parts and more. 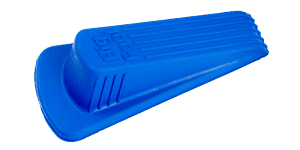 We can support your largest part requirements with the ability to run 42” x 42” and 48” x 56” molds on our transfer molding and compression molding equipment. 10lb – 15lb – 20lb shot size. Contact a member of our technical staff at (330) 336-6777 or CLICK HERE to send us a drawing. Let us assist you in the development of you next rubber grommet. 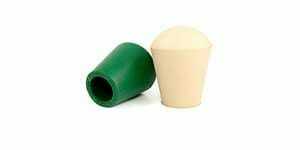 We produce grommets utilizing all our processes; rubber injection molding, transfer and compression molding. Qualiform is the source for custom molded rubber gaskets, rubber seals, and rubber washers. No matter what the application, we can manufacture the perfect seals. Qualiform engineers have the capability to produce Colored Rubber with brilliant color quality and consistency at a competitive price. 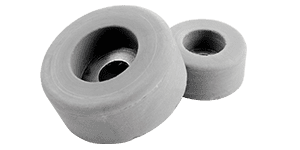 These rubber transfer tire curing bladders and shaping bladders were designed to be long-lasting. 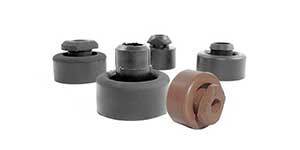 Qualiform is a top manufacturer of custom rubber grommets in a variety of rubbers. 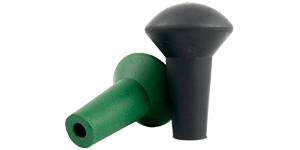 Eye protection for Antennas made from transfer molds with molded neoprene rubber. Natural Rubber Train Bumper made from rubber to metal bonding. 10# Rubber to Steel Insert.